The sizes for this cake are 8″-12″-16″. I always thought it looked larger in this photo must be the angle the picture was taken. 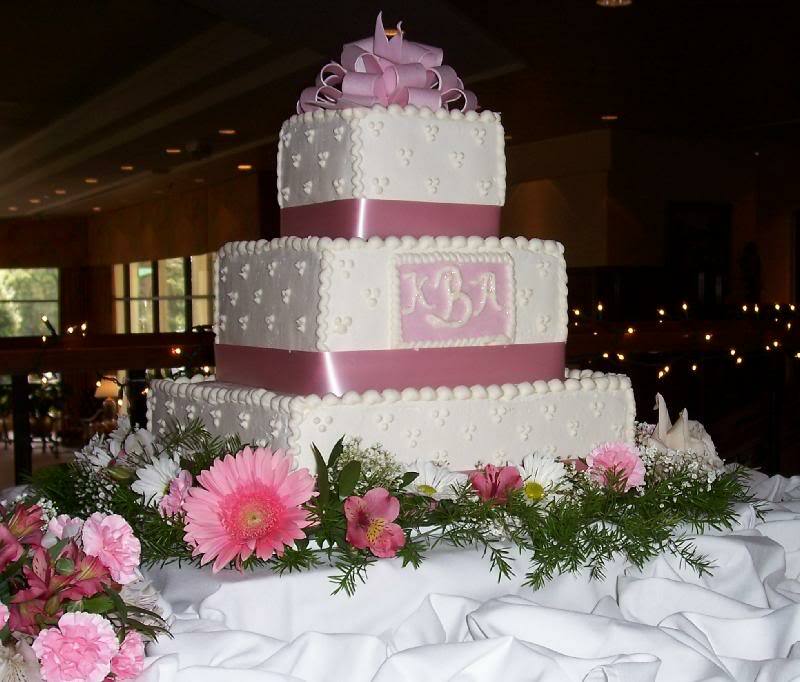 Each tier is wrapped with pink ribbon and the bow and monogram are fondant. Fresh flowers at the base.